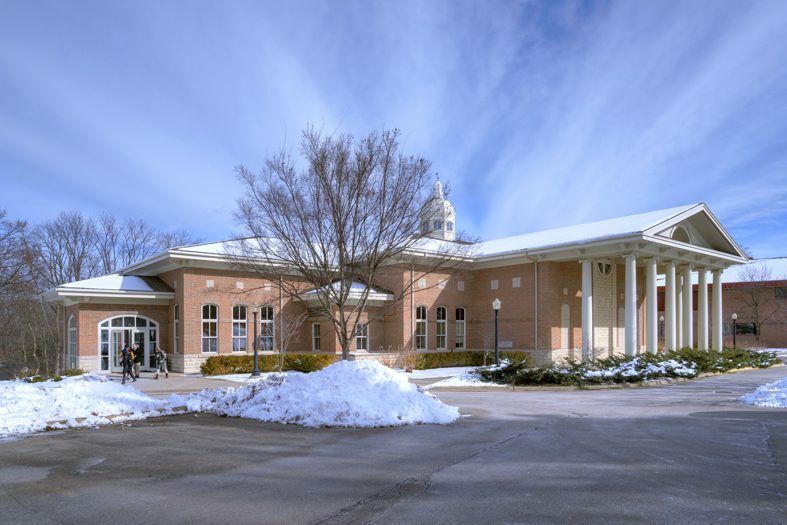 In the past, music students shared a facility with the other fine arts programs, often creating scheduling and acoustical conflicts. Successful fundraising efforts made the dream of this music support facility a reality. 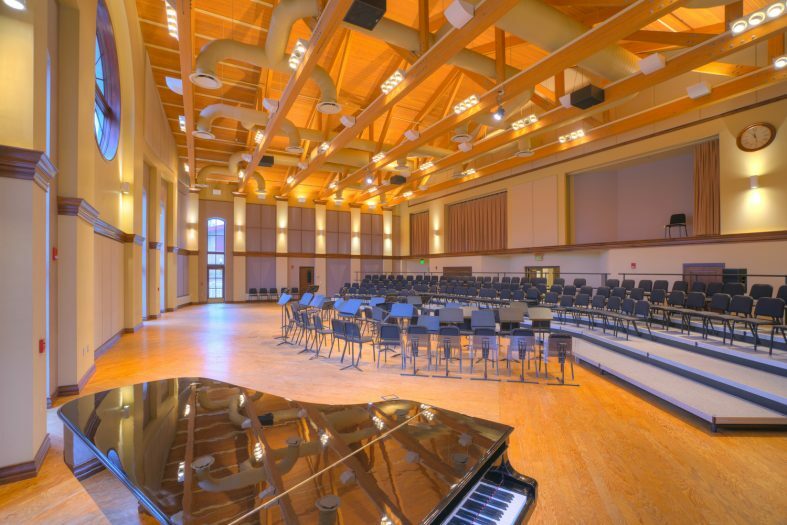 Howard Music Hall provides a large rehearsal hall as well as an intimate recital hall for practice and lectures. 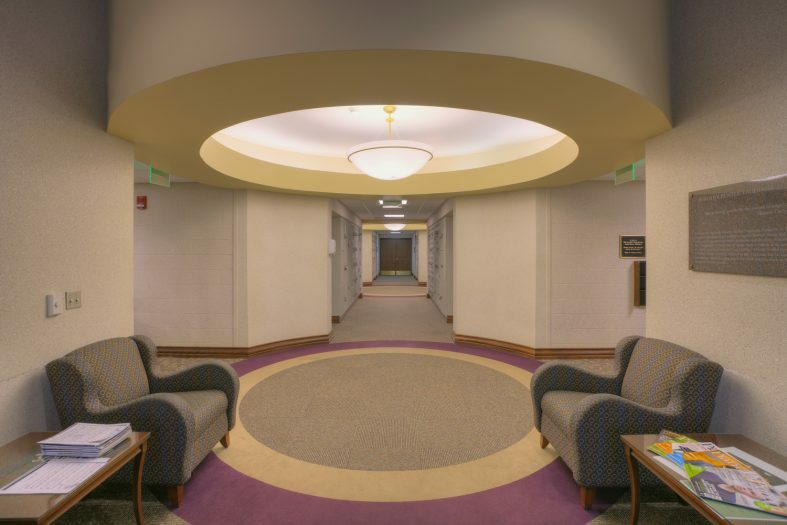 The facility features 26 practice rooms and instrument storage lockers with a dedicated piano storage room. Special design considerations were made for walls and mechanical systems to provide acoustical separation and minimal background noise. 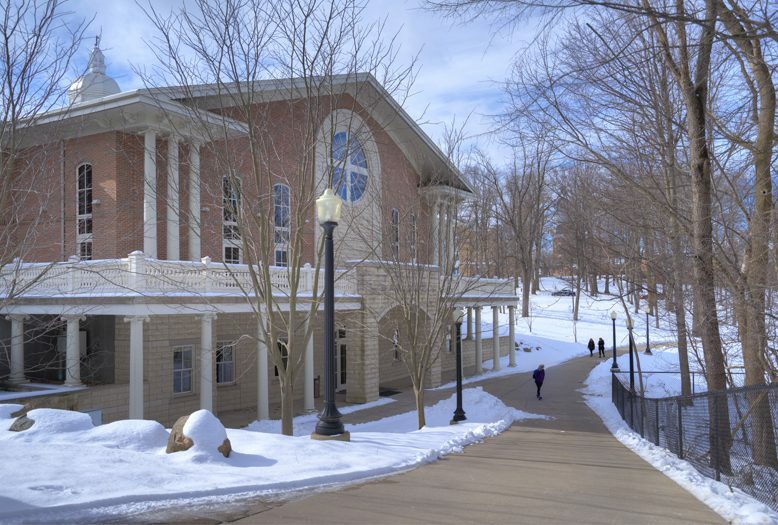 The recital hall features 70 fixed seats on a gradually sloped main floor. The rear wall of the room is curved, with acoustically absorptive panels to diffuse and redirect performance sounds. 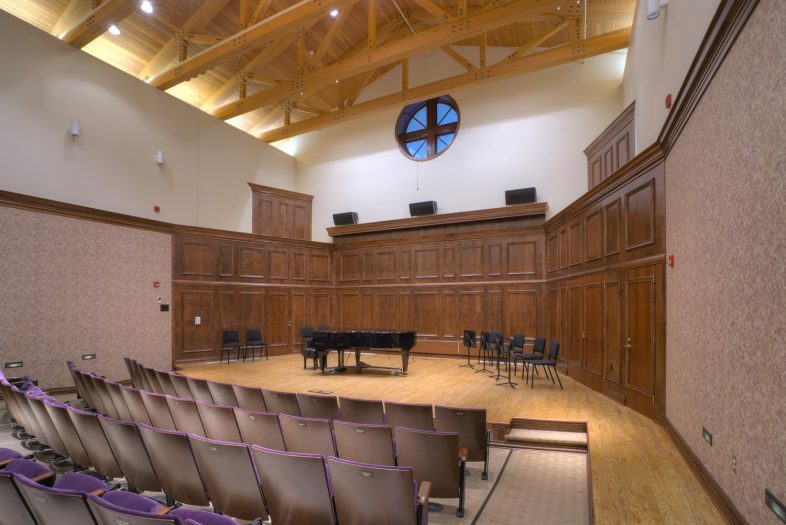 Multiple lighting systems and programmable controls allow this room to be used for daily music department lectures, small group performances and film projection. 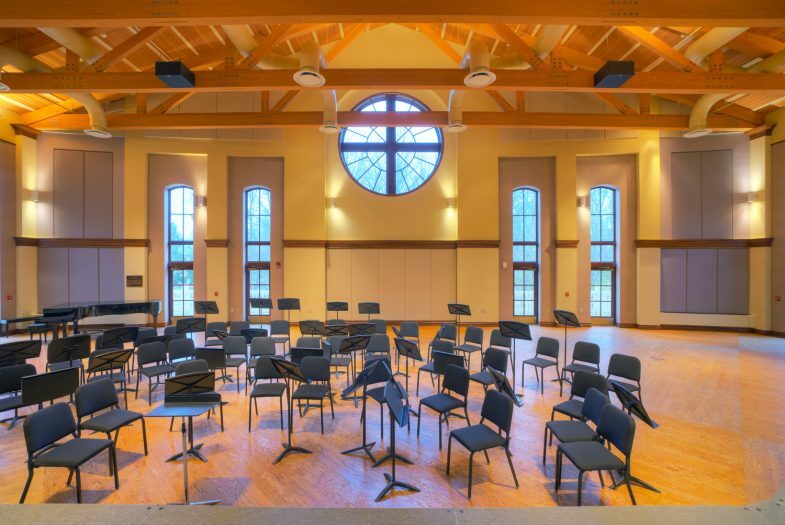 The large rehearsal hall can accommodate the entire symphony orchestra and the 160-member choir together. Designed as a multi-use space, the lighting, projection and sound equipment support practices, performances, dinners, dances and lectures. 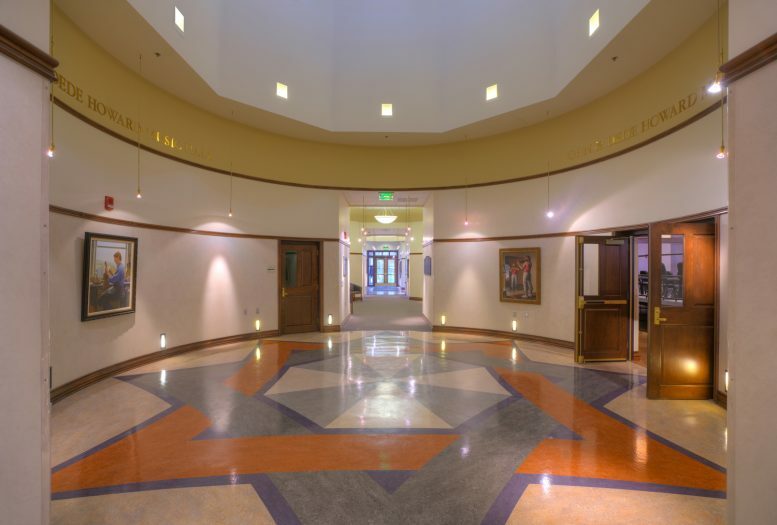 Special design considerations were made for walls and mechanical systems to provide acoustical separation and minimal background noise.